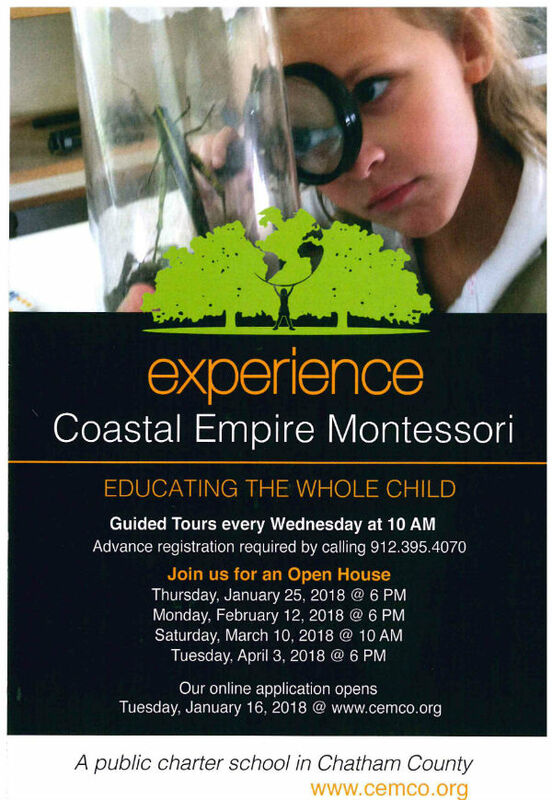 Come see all the Coastal Empire Montessori Charter School has to offer. 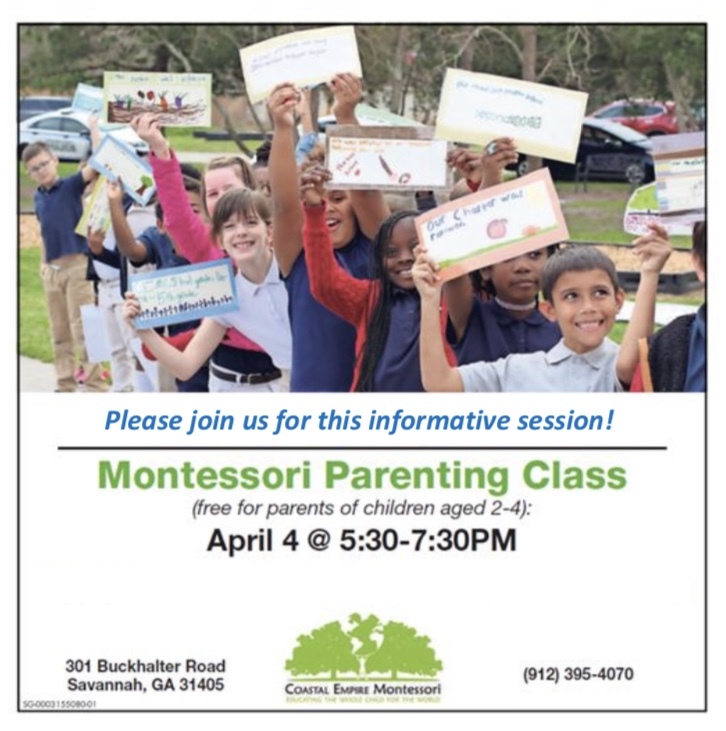 Attend an open house or guided tour of this Kindergarten-5th grade public charter school. Guided tours are every Wednesday at 10AM. 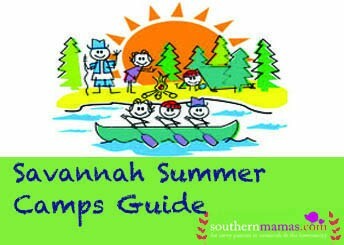 Advance registration required by calling 912.395.4070. Applications for the 2018-19 school year are being accepted now. Deadline to apply: Fri. April 6, 2018 @ midnight. 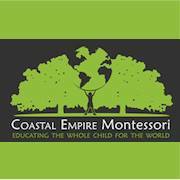 The community is invited to participate in the Coastal Empire Montessori Charter School Color-A-Thon Event in Pooler on Sat. April 1 2017. This fun, healthy event is a fundraiser in which students collect donations, earn rewards and then participate in a 3K fun run as a culminating event. 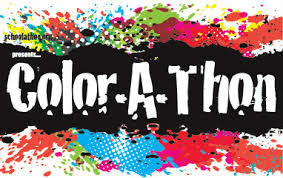 The students, their friends and family and other supporters can walk, run, skip, or dance through a course where they all will get blasted by color dust! 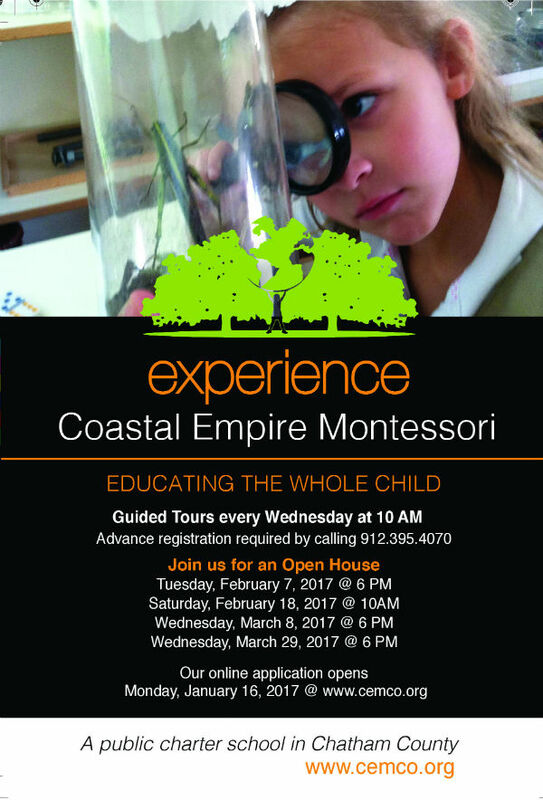 Coastal Empire Montessori, a Pre-K through 5th Grade charter school, serves students from all over Chatham County. Registration fee is $30 and includes a T-shirt and a color dye pack. (The color dust is safe, non-toxic and completely washable.) To register, click here. Online registration must be completed by March 22, 2017. There will also be on-site registration on the day of the event, however t-shirts will not be available onsite and will be shipped afterward. 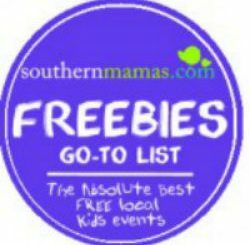 @ Tom Triplett Community Park in Pooler, GA.
To donate or register, click here. Attend an open house or guided tour of this PreK4-5th grade public charter school on Wed. March 29, 6PM. Applications for the 2017-18 school year are being accepted now. Deadline to apply: April 7, 2017 at midnight. Learn more about the school application process here. Attend an open house or guided tour of this PreK4-5th grade public charter school.